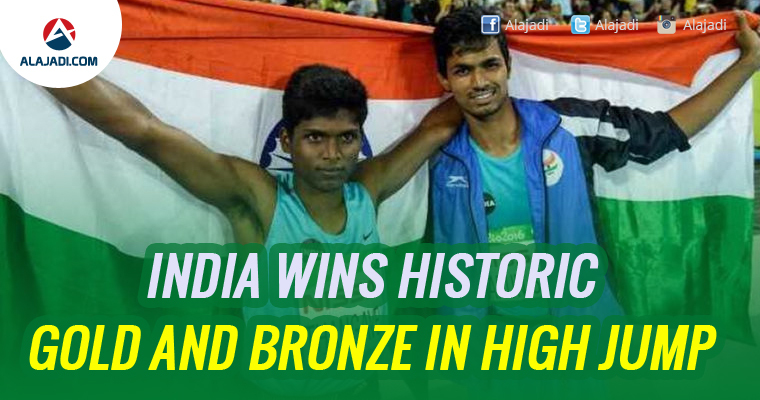 For a country that missed the gold at the just-concluded Rio Olympics 2016, it was celebration time as two of its athletes Thangavelu Mariyappan (21) of Tamil Nadu and Varun Singh Bhati of Noida, scripted history on Friday night winning the gold and bronze medals respectively in the men’s high jump T-42 event at the Paralympics in Rio de Janeiro. While Mariyappan jumped 1.89 metres, Bhati registered a personal best of 1.86 metres. 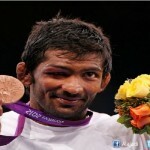 It was the USA’s Sam Grewe who won the silver medal. Another Indian, Sharad Kumar, finished sixth. 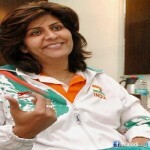 The Ministry of Sports had earlier announced that Indian gold medallists from the Paralympic Games will be awarded Rs 75 lakh, the silver medallists will get Rs 50 lakh while Rs 30 lakh will be given to the bronze medallists.